02.10.18 11:53;Account;Receive;Received Payment 14.00 USD from account U18262960 to account U1294000. Batch: 230706976. Memo: API Payment. Withdraw. 04.10.18 13:00;Account;Receive;Received Payment 14.00 USD from account U18262960 to account U1294000. Batch: 230952038. Memo: API Payment. Withdraw. 04.10.18 03:36;Account;Receive;Received Payment 14.00 USD from account U18262960 to account U1294000. Batch: 230903276. Memo: API Payment. Withdraw. 05.10.18 12:10;Account;Receive;Received Payment 14.00 USD from account U18262960 to account U1294000. Batch: 231066358. Memo: API Payment. Withdraw. 08.10.18 10:40;Account;Receive;Received Payment 14.00 USD from account U18262960 to account U1294000. Batch: 231385139. Memo: API Payment. Withdraw. 07.10.18 10:14;Account;Receive;Received Payment 14.00 USD from account U18262960 to account U1294000. Batch: 231272533. Memo: API Payment. Withdraw. 07.10.18 09:27;Account;Receive;Received Payment 14.00 USD from account U18262960 to account U1294000. Batch: 231268225. Memo: API Payment. Withdraw. 09.10.18 09:48;Account;Receive;Received Payment 14.00 USD from account U18262960 to account U1294000. Batch: 231505701. Memo: API Payment. Withdraw. 11.10.18 11:38;Account;Receive;Received Payment 14.00 USD from account U18262960 to account U1294000. Batch: 231779892. Memo: API Payment. Withdraw. 10.10.18 11:19;Account;Receive;Received Payment 14.00 USD from account U18262960 to account U1294000. Batch: 231652548. Memo: API Payment. Withdraw. 12.10.18 10:42;Account;Receive;Received Payment 14.00 USD from account U18262960 to account U1294000. Batch: 231894200. Memo: API Payment. Withdraw. 15.10.18 11:01;Account;Receive;Received Payment 14.00 USD from account U18262960 to account U1294000. Batch: 232201405. Memo: API Payment. Withdraw. 16.10.18 09:40;Account;Receive;Received Payment 14.00 USD from account U18262960 to account U1294000. Batch: 232315455. Memo: API Payment. Withdraw. 18.10.18 09:18;Account;Receive;Received Payment 14.00 USD from account U18262960 to account U1294000. Batch: 232562356. Memo: API Payment. Cryptodon. 17.10.18 10:30;Account;Receive;Received Payment 14.00 USD from account U18262960 to account U1294000. Batch: 232448329. Memo: API Payment. Cryptodon. 19.10.18 09:44;Account;Receive;Received Payment 14.00 USD from account U18262960 to account U1294000. Batch: 232673824. Memo: API Payment. Cryptodon. 22.10.18 12:01;Account;Receive;Received Payment 14.00 USD from account U18262960 to account U1294000. Batch: 232999951. Memo: API Payment. Cryptodon. 23.10.18 12:37;Account;Receive;Received Payment 14.00 USD from account U18262960 to account U1294000. Batch: 233127255. Memo: API Payment. Cryptodon. 24.10.18 11:30;Account;Receive;Received Payment 14.00 USD from account U18262960 to account U1294000. Batch: 233243448. Memo: API Payment. 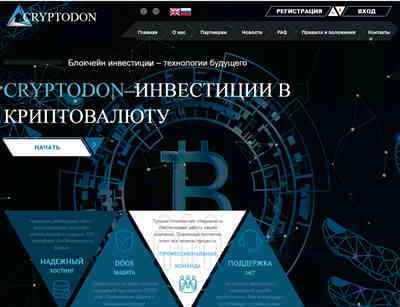 Cryptodon.